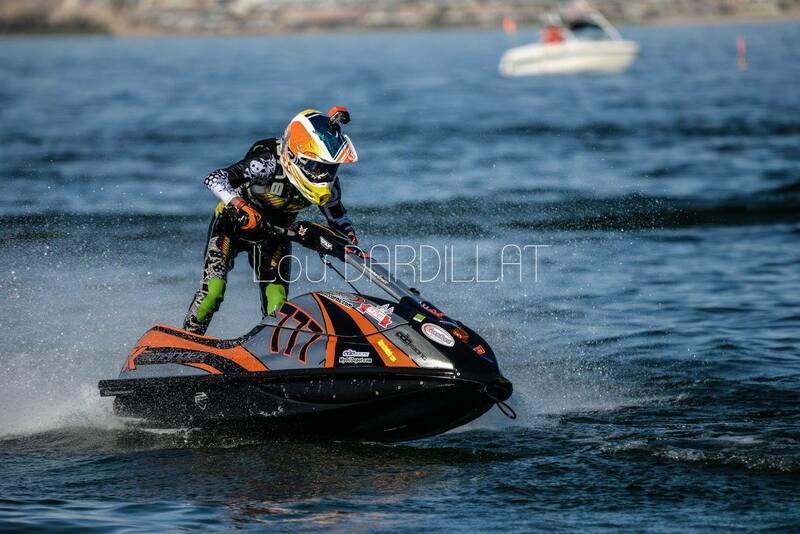 MOTOR ACTION MEDIA > FEATURES > WATER > BUILDING THE DREAM: I am a champion. BUILDING THE DREAM: I am a champion. 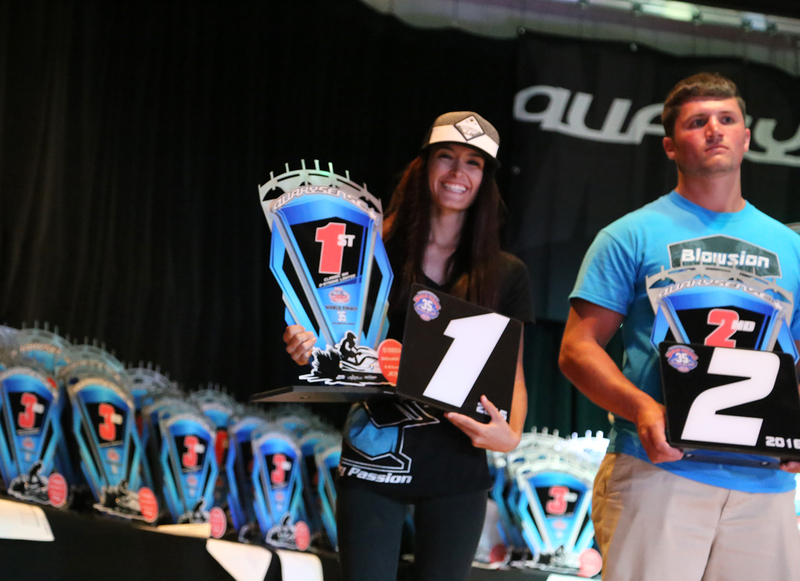 MotorActionMedia.com owner, Anna Glennon checks in after her week at the IJSBA World Finals. After 365 days of work, pressure and nerves — the biggest week of the year is over. 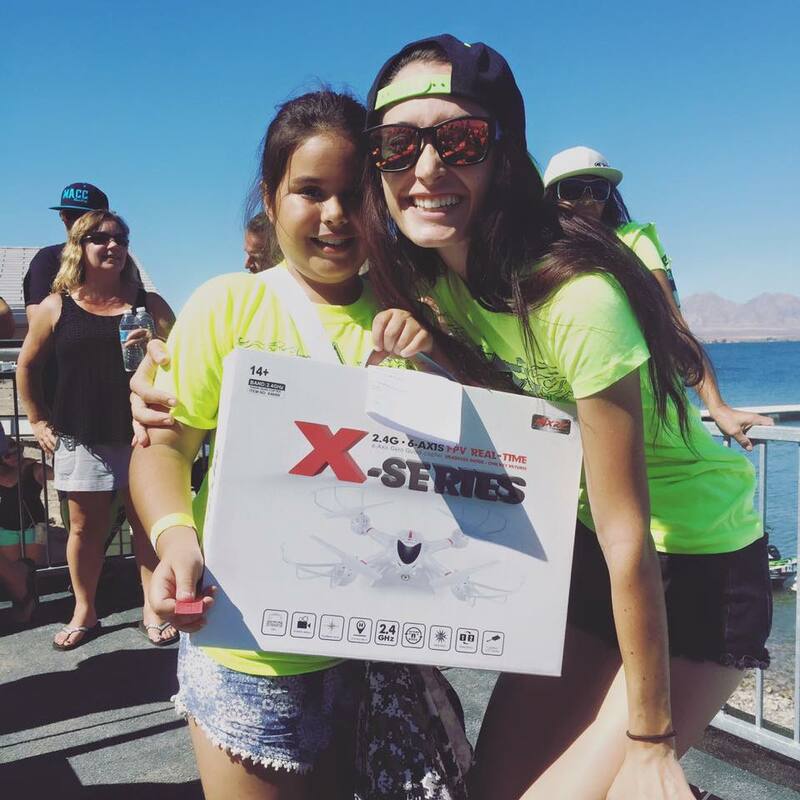 Thousands of racers from around the world came out to Lake Havasu to compete for the chance at a world championship, and I was one of them. Two weeks ago, I gave my dad the daunting task of fixing not one, but three machines. After hammering my skis all summer on one of the roughest lakes in the country, just about everything had shaken loose. Typically, when things break (especially when it comes down to the wire) I get stressed. But after five years of racing with the Boss Man, I’ve learned that he knows what he’s doing. So with faith, I reached out to our friends in the industry and rush ordered everything we needed to get the skis ready to race against some of the best equipment in the world. Just a few days before we locked and loaded the trailer, he was finished. My three skis were rebuilt, and running great after he spent hours in the shop wrenching while I was away studying. Before leaving, I had to take my university midterms early (not fun) and get a week’s worth of school work done before I could board the plane to Las Vegas. Arriving in Havasu is something I look forward to every year. There’s something exciting about seeing so many cars cruising around with race skis, and seeing people from around the world you haven’t seen for a year. People always talk about Body Beach, and if you haven’t been, you’re missing out. Seeing the beach packed with Jet Skis, and thinking about how many of your favorite riders have walked and ridden at Body Beach — that’s just neat. And nothing beats a Body Beach sunset. The Junior Stars “Day with the Pros” event is one of my favorite days of the year. Having the opportunity to hang out and mentor the up and coming racers from around the world isn’t something I ever imagined I’d have the chance to do. Nedra Attwood did an incredible job of organizing the event and getting some super cool goodies for the kids. I had the honor of sharing my experiences dealing with social media and sponsorships with these young kids, and I was so excited to hear that they had applied what they have been learning from me in the past three years of my participation in the event. I can’t believe how much these kids have grown and advanced since my first year as a part of the event — the future of our sport is so bright with these kids. Racing kicked of on Tuesday, and I was up at the crack of dawn to race the girl’s class. Everything went flawlessly, except the Hydrospace that kept getting away from me on the back stretch. It was a good day of racing, I managed to surprise everyone with my improvement, but couldn’t quite grab the title like I wanted. I was disappointed, this being my second year of coming so close, but missing it so narrowly. Wednesday morning I was set to line up against the boys in Classic Ski Two Stroke Limited, and I didn’t have winning on my radar whatsoever. In this class, I was lined up against my former mentor, Jeff Wright. One of the best riders in the midwest, and a very good friend of mine. It had been four years since our last race (where he whooped me), and my main focus in this class was seeing how I compared to him four years later. In the heat and first moto, I was met by several very fast skis and riders, and had to fight to move up through the pack after some clustered starts. 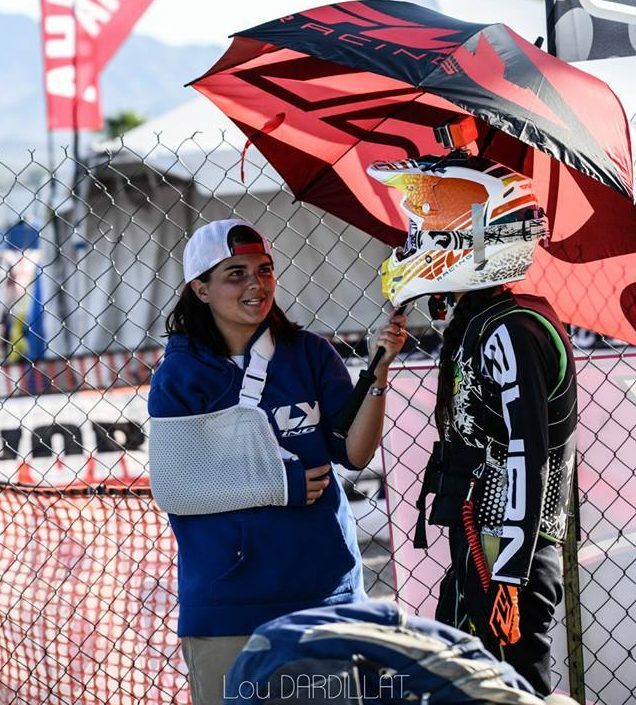 In the first moto, I finished fifth — and assumed the championship was out of my reach. By the second moto, the heat had dried me up and I was tired. I was ready for the day to be over. As we made our way to the starting line, the waves had begun to churn up a little, and as the band snapped the Casino ferry cruised by. All my time of riding at the Lake of the Ozarks worked to my advantage, and as the waves got higher other riders started going down, and I kept pushing on. By the final lap, I looked to the beach and saw the Boss Man holding the pit board with the message “#1” written on it. Thinking I was in first, I fought to keep the two SuperJets behind me. As I hit the final backstretch, I saw two lappers ahead of me, and thought that putting them in between myself and the riders behind me would slow them down — but it wasn’t until I finished the race that my dad told me one of the lappers, was actually the leader. Finishing 5-1, and the other riders getting tossed up in the rough waves helped me edge out the would-be winner by one point — earning my first world championship. Had I given in to my temptation to quit, or slowed down because of the soreness, the tiredness, or because I thought I had no chance — I would never have won. Something in the back of my head told me to keep going, and I’m glad that I did. 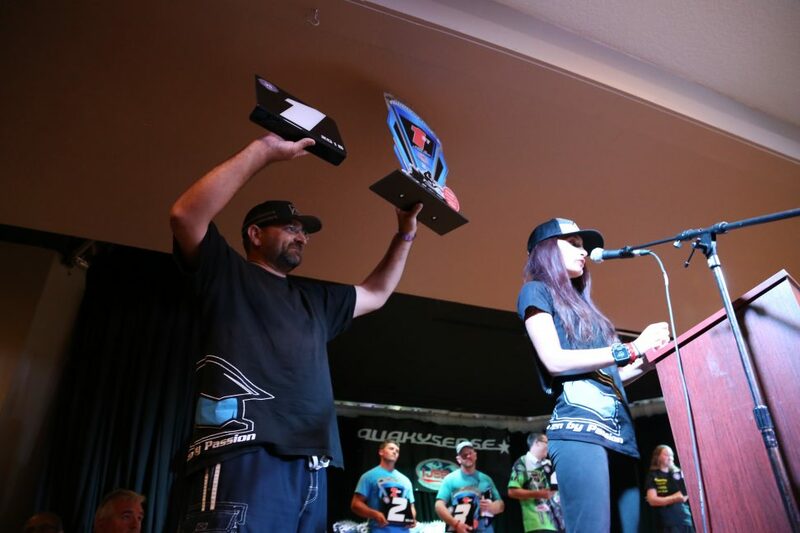 My team and I made the decision to move up into the Pro Ladies’ division to see how we stacked up. 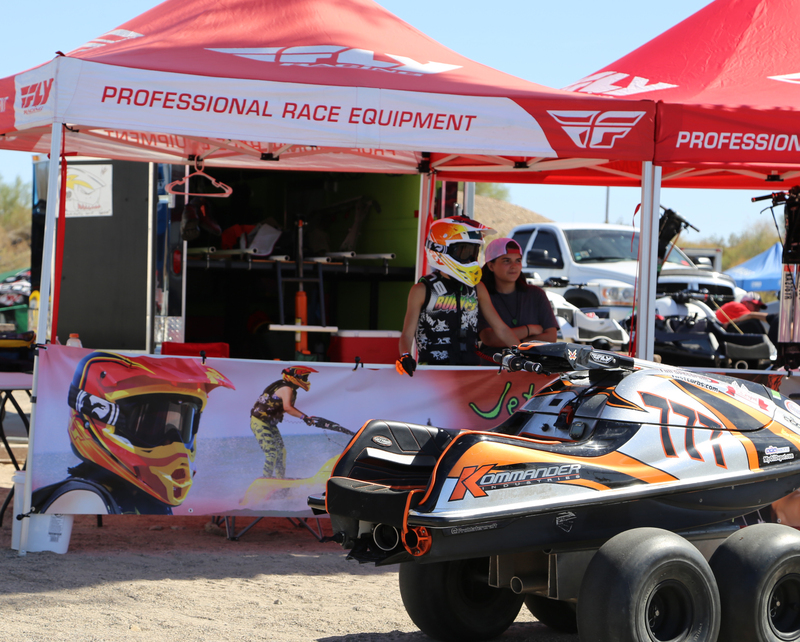 In the qualifying heat, we broke out from everyone, coming out quickly off the start and hanging with Pro Ladies’ who had more than 20 years of racing experience. We finished fourth in the heat, and then we did it again in the first moto — placing fourth. In the final moto of the day, as we stood on the starting line, Boss Man tells me “hang it all out, win or swim”. With no pressure to perform, I came into the first turn bumper to bumper with another rider and ejected from my ski. A rider bringing up the rear skimmed over my legs, and I was left a lap down from the pack. 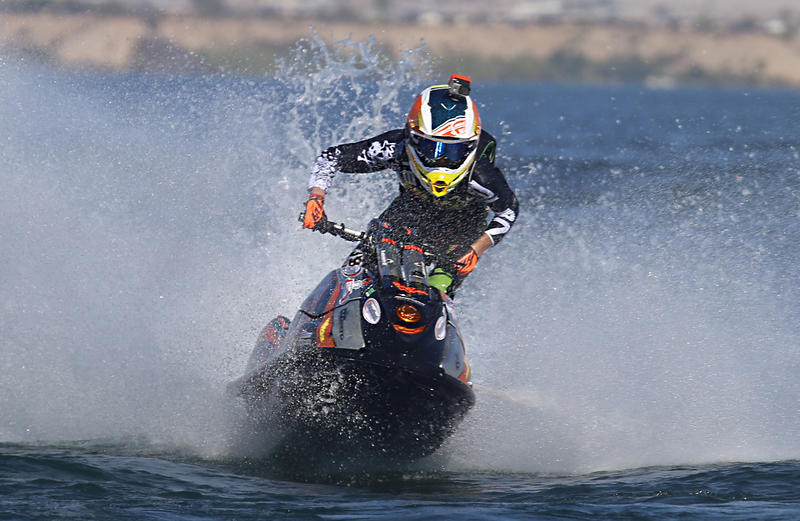 When I got back on my ski, I wondered if I should even try — but I wanted to prove that I was going to be a future threat to the Pro Ladies’ World Championship, so I grabbed the throttle and went for it. By the end of the race, I had made up nearly the entire half a lap I was down, and in another lap or so I would’ve been in a position to try and pass my way back into the ranks. Although my results on paper were not what I wanted, I found in myself the ability to perform at the highest level, under tough circumstances. At one point, I had so much doubt in my abilities. I did not think I ever had a true chance, because I did not think I was tough enough, or capable. This week I did things on the track I never imagined I could do, without thinking. It was like second nature, making smooth passes, making strategic choices, and pushing myself further than I thought I could. After this week, I know that myself and my team have the capability to achieve great things, and this week has given me new hope and motivation to continue to excel. There are so many people I need to thank. My dad worked endlessly to provide me with one of the fastest skis on the line, and spent hours working to make sure everything was how I wanted it. My mom kept me in good health, and my sister supported me even when she wanted to be playing her guitar. 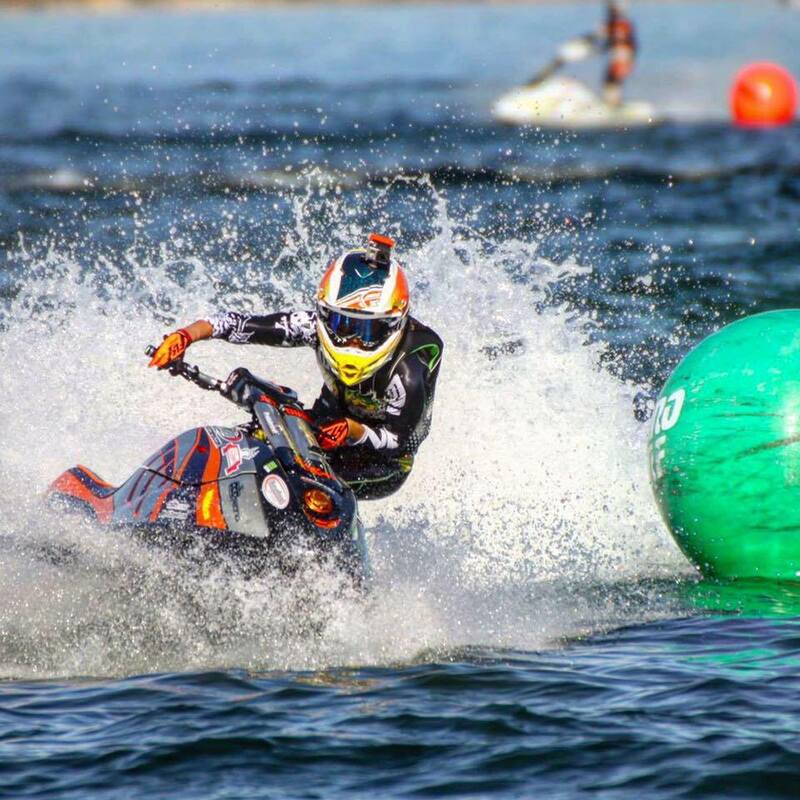 Chris Hagest at Pro Watercraft Racing.com provided me with top of the line handling components which gave me 110% trust in my ski, even when the water got rough. Steve Webster from Kommander Industries has provided us with performance parts and has always been an incredible resource whenever we’ve had questions. ADA Racing has provided us with great billet parts, Fly Racing has sent me the best helmets and gear, My Oil Depot has provided us with all our oil for four years, Gasket Technology has kept us stocked up and helped with our rebuilds. Hurricane Industries made me some awesome custom graphics, and was a massive help in the pits during the World Championships. And as always, the Rad Dudes have been there since day one. I also want to thank everyone who has been cheering me on throughout my racing career. I have not always been the fastest, or the strongest rider, but I have never given up; and it’s so many of you that have kept my hopes up when I thought I would never have a chance. Racing can be hard, you can’t win them all; but what I love most about celebrating a win is celebrating with all of the people who believed in me.